BE BUSY, BE CREATIVE and BE YOU. Please remember that I do repost and repin your link-ups and I also try to comment on as many of them as time allows. Please help me out by browsing through the other link-ups; consider commenting on your favorites and bring a smile to each other's day! 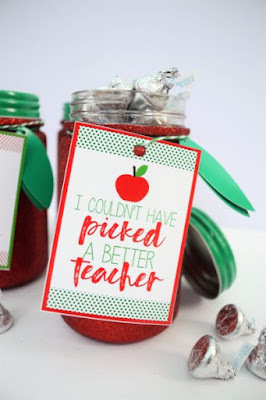 Burlap and Blue shared this great Teacher Gift with Printable Tag, just in time for school! 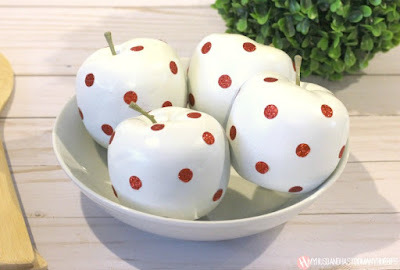 My Husband Has Too Many Hobbies made these Whimsical Apple Decorations. The Kitchen Is My Playground shared the recipe for this yummy Banana Pudding Cake. 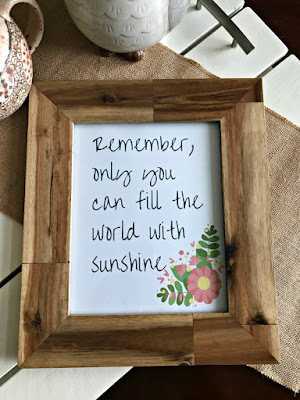 Abbotts at Home created this Snow White Quote Printable. 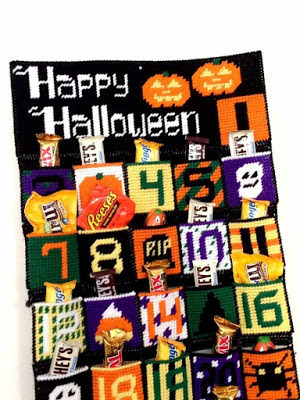 Everyday Parties made this great Halloween Countdown Calendar. Julie, Thank you so much for the party and for featuring my Whimsical Apples! Enjoy your week! Thank you for hosting. I always look forward to your party. Enjoy the eclipse and have a fun week. Thanks for hosting, Julie! Have a blessed week! Thanks for the party, Julie. Hope you have a great week! Thank you Julie for hosting. I shared your party.